Obd2tool.com provide One year Update Service for Autel MaxiSys Pro MS908P Elite MS906 MS906BT MS906TS. We are Autel authorized dealer. Purchasing from us, you will get 100% genuine, one year free update and warranty. After you place an order on our website and check out, please provide us your device serial number. We will inform you by email after we extend one year update authorization for you or we can send the update license to you via Email. It is so easy to operate, no need shipping. 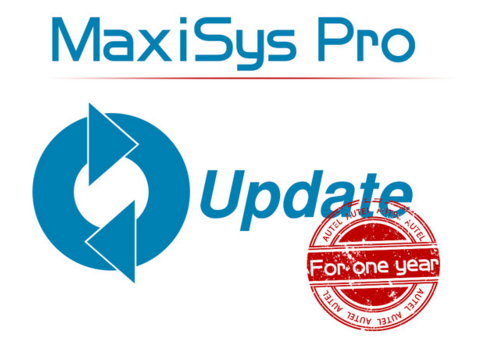 if your any of your MaxiSys tool is over warrantry for free update, you can buy this service to get update online. the updates are stupid money, most people buy a new one run it 6 months past its update then sell it and buy another, its cheaper than buying the updates!!! Awesome scanner!! Saved me $$$$ already! Just letting you guys know that I’m a Master Technician and shop owner for over 15 years. The most sophisticated scanner I own is the 2009 ver. of the Snapon Modis which is a great scanner but it became obsolete. With the Maxisys I was a little skeptical with it…cause i have a thing with Chinese made products…but after researching and viewing videos on this scanner…I was sold with it’s functions. When I received it let me tell you…I am impressed as soon as I opened the box. The first thing I like the weight and size of it. It’s light and very comfortable moving around especially that it’s bluetooth…wow done with cables! Next I read people reviewing about disappointments on the updating…it was not as long as they say…I’m connected to cable modem and the update took just 1hr 1/2 and in the afternoon. I did it Ethernet instead if Wifi to make it faster. So I believe those people had connectivity issues. Now the best part, the speed of this thing…incredible. Wow the booting up, the ease of touch screen…it feels like navigating through my Samsung S6. I’ve had this for a week…it it already saved me money. I had a 2016 LandRover RangeRover that needed a rear brake repair…when it came time for the repair, I had no knowledge it had electronic parking brake…so I almost thought I was going to lose that job till I checked to see If the Maxisys had the electronic brake release feature…and shocking it did!! I was so happy! Next job I had was a 2009 Hyundai Sonata 4cyl, complaint was it had a 2-1 rough downshift…found there’s a recall that needed to be reprogrammed on these symptoms…guess what…this thing has a Transmission ECU reset feature…and it worked! Unbelievable! I’m very happy with this and also glad I didn’t go as far as investing in Snapon or Matco products. It’s good enough for me! I am more than impressed with what this little tool can do for the price. I was able to do variant coding on a W212 Mercedes, Airmatic calibration and it still had a lot of other useful features( it was able to access all of the 46 modules installed on the Merc). I also used it on a BMW, Toyota Sienna and a Ford Ranger truck and it was able to access all of the modules there as well, perform live tests, actuations, adaptations ( I saw the option to perform shift adaptations on the Mercedes but I haven’t tried it yet) and resetting to default values where applicable. One cool thing I like about it is the ability to perform graphing ( to a limited extent – not oscilloscope detail but still on par with equivalent but more expensive tools on the market like SnapOn or Matco). 3) The complete lack of wiring diagrams and any sort of schematics. Overall this is a great tool to have around for working on your car, pre purchase inspections and helping out friends. It’s biggest plus in my opinion is it’s price, none of the competitors can even get close to it price wise. Keep in mind that you have to update frequently to be able to work with modules in newer vehicles. Out of the box it has a 1 year free subscription included, after that if you want to update it you have to pay around 600$ per year. MS908S Pro and MS908P comes with J2534 ecu programmer so that both are able to do programming.But MS908 only works for diagnostic tests for universal vehicles. The new Autel Scanner MS908S Pro is updated a lot in hardware design, which will run faster and much more stable to work with vehicles in tests. MS908SP is the MS908P update version. Autel MS908S Pro can replace Maxisys MS908P. MS908S Pro comes with Autel Maxiflash Elite J2534 ECU Programming Device also. Autel MS908SP also offering 2 years free update. For more details about Maxisys MS908S Pro, welcome to contact our sales. 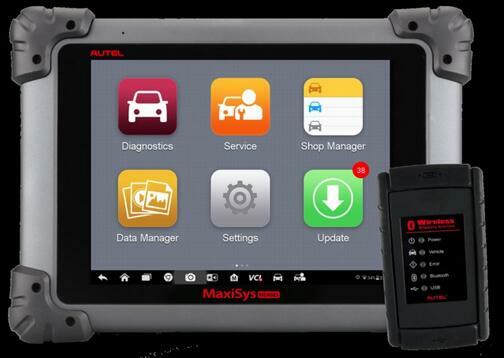 The Autel Diagnostic Scanner MS908S Diagnostic Scan Tool is designed to be easy to use and offers double internal 64G of memory. Notable features include: 4.4.2 Android OS operating system; 8 MP camera; two USB ports; one-year warranty; and one year of free updates. This tool is also available as MS908SP, which offers the same features and includes MaxiFlash Elite, a J2534 ECU Pass-Thru programming device with an Internal Bluetooth VCI. One of the MaxiSys series devices on Obd2tool.com, the MS908S Pro Diagnostic Platform bases on the revolutionary Android multitasking operating system, utilizes the powerful Cortex A7+A15 six-core processor, and equips with 9.7-inch LED capacitive touch screen. Supporting J2534 ECU Programming Device is capable of replacing the existing software/firmware in the Electronic Control Units (ECU), programming new ECUs and fixing software-controlled drivability issues and emission issues. MS908S Pro is an ideal tool for a truly trouble-free diagnosis of a maintenance plant by quickly, efficiently and effectively diagnosing automotive faults, managing customer data, and standardizing business processes.